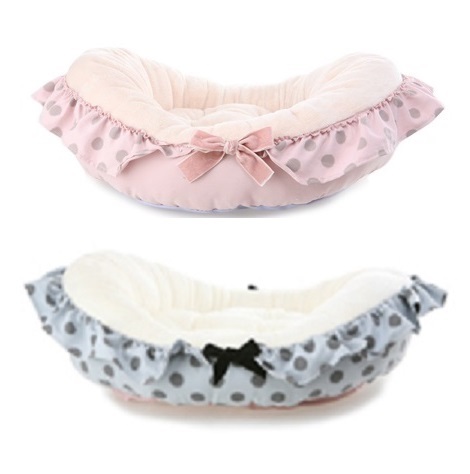 Cute as a button this Puppy Angel Oval Dot Bed ensures your pet sleeps soundly! There are bows either side and the base is waterproof and non-slip. Fantastic quality and style as you would expect from Puppy Angel.